Public Provident Fund or PPF is one of the best investment options available in India. Being a small-investment scheme, it is suitable for people from every economic class. With an yearly minimum contribution floor of INR 500, the PPF account is very easy to maintain. 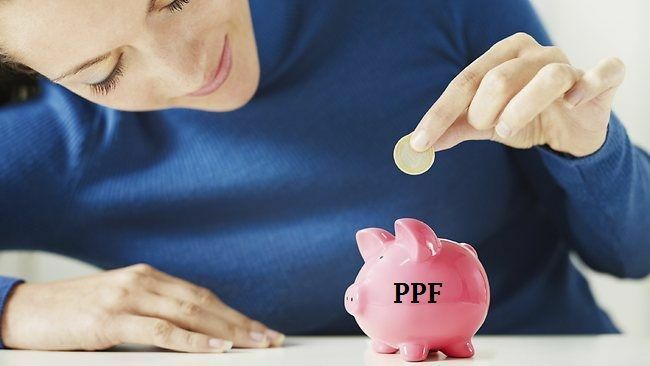 While there are many advantages of PPF, one of the greatest advantage is that of taking out a loan against the standing balance in the account. However, one has to remember that the loan against PPF balance is not designed to be a long term loan. This loan works as a short term personal loan and is very effective when it comes to meeting urgent funds requirements. That’s a very valid question. We know that commercial banks offer personal loans. They disburse the loan quickly too. However, there is one little problem. These commercial banks and sometimes the non-banking financial organizations that offer personal loans, charge a hefty rate of interest. The interest rate with these banks and non-banking financial organizations can reach as high as 24%. This means, if you are taking out a loan of say, INR 100, you will have to repay back INR 124. That’s pretty heavy on the pocket. The interest rate charged by commercial banks and non-banking financial organizations can burn a hole in the pocket. This isn’t the case with loans against PPF account balance. The interest rate applicable on a loan against PPF balance is just 2% above the interest rate offered by PPF account. This means that if you are earning an interest of say 8.7 % on your PPF investment, the interest rate on your loan will be 8.7 + 2 = 10.7%. This is way less that the interest rate that is charged by commercial banks or any other non-banking financial entity. Needless to say that loan against a PPF account is extremely cheap. However, not many people are aware of this benefit of PPF account. As a result, they end up taking out loans from banks or financial organizations. They also often use an alternative credit line – the credit card or the plastic money. Because of high interest rates, people often end up defaulting on the loans. When this happens, the CIBIL credit score declines. When the credit score falls, a person loses his or her credit worthiness. This means that banks or other financial organizations no longer trust the person and hence, decline any further loan request. Not just personal loans, lack of a good credit score also affects a person’s ability to take out home loans. Keeping these problems in mind, it is always wise to opt for loans against the PPF balance in the account. Low rate of interest will mean that loan can be repaid easily. What Are The Benefits Of Loan Against PPF Account? Low interest rate The asking rate of interest in only 2% above the interest rate being earned by the PPF account. No collateral needed Usually banks and other financial organizations ask for a collateral against a loan. In case of a loan against a PPF account, no such collateral is needed because the account balance itself works as a collateral. Decent repayment period The loan against a PPF account should be repaid within a period of 3 years in full in order to enjoy the low interest rate. In case a person fails to repay the entire loan within that period, he or she will have to pay higher rates of interest, which might be at par with the market rates of interest (that is the interest charged by banks and non-banks). No hassle of recovery agents Well, failure to repay the loan will not mean constant bugging from recovery agents. As the loan is against PPF account, the government will simply deduct the due from the PPF account. In order to avail loan against a PPF account, the account NEEDS to complete at least 3 year. If that’s not the case, loan will not be available. Applications for loans will not be accepted once the account hits 6 years. This means loan can be availed only between the 3rd year and the 6th year. Here year refers to financial year counted from April 1 of a year till 31st March of the next year. Loan facility will be closed since 7th financial year because that’s when the account becomes eligible for partial withdrawals. A second loan against a PPF account is allowed only if the previous loan has been paid in full. If not, the second loan application will be declined. Loan amount can never exceed 25% of the total amount in the PPF account. Loan against a PPF account can be taken out only once in a given financial year. This means that say you take out a loan in say 2016 and you repay it in the same year. Then you wish to take out a loan again. You cannot do so in 2016. You will have to wait until the next financial year starts. The year in which you wish to take out a loan (which of course has to be within 3rd and 6th year), you will have to ensure that the minimum amount for a year (which is INR 500) has been paid for all previous years. If all those conditions are met, you will be eligible for taking out a loan against a PPF account. In order to apply for loan, you will have to fill up Form D, which has been designed for loan applications against PPF account.